Our plan brings together the outcomes and priorities that will guide our work, the way we will measure our progress and how we will work to realise our ambitions. 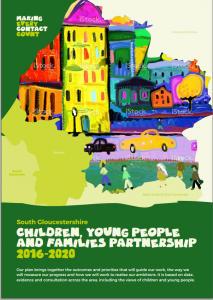 Our partnership is working on key priorities for children, young people and families in South Gloucestershire. These include reducing child poverty, supporting children to have the best start, early help, improving outcomes for children and young people with special educational needs and/or disability, improving mental health and wellbeing for all and closing achievement gaps in education. Our work builds on the Children’s Trust Board strategic review.